A typical Instagram scroll will show plenty of celebrities and influencers looking practically perfect with flawless skin and hair, dressed to the nines in designer clothing in some dreamy, tropical locale. Cue negative thoughts that make you feel inadequate, like you’re not living up to society’s unattainable standards. Sound familiar? 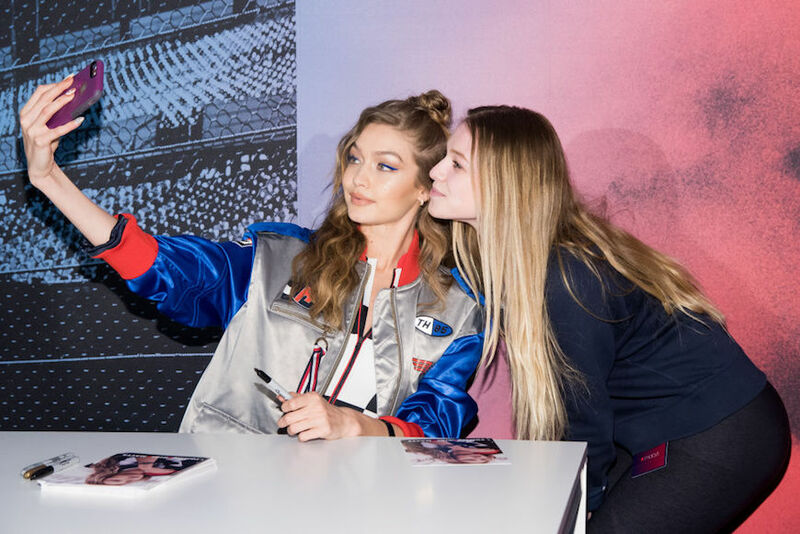 Hence the extreme confusion when I came across some celebs like Gigi Hadid—who first showed the case after her breakup with Zayn Malik—and fashion designer Anine Bing posting proud selfies of their iPhone case that says: “Social media seriously harms your mental health,” a la the warnings you see on cigarette packs. But plastered on a phone instead. Irony! Of course, it’s not a bad thing for celebs to be sending out the message that perhaps everyone should spend a little less time on on their phone (guilty). Or maybe they’re self-aware and signaling to everyone that the look-at-my-perfect-life imagery is nonsense. Like a very meta warning. Either way, take it as a friendly reminder that what you see on social media isn’t necessarily indicative of a happy, perfect life. That’s what television is for. Just kidding. Just don’t take things at face value, and listen to Hadid’s phone cover instead. #LifeLessons. At least stars are getting real and opening up about mental health authenticity. For inspo, here’s what happens when you take a social media detox.